Healthy Redefined Part 2: Forget About Fat and Get Fit! *Trigger Warning for readers who struggle with overexercise or orthorexia. Please be cautious and mindful about how the discussion below might affect you. This is Part 2. 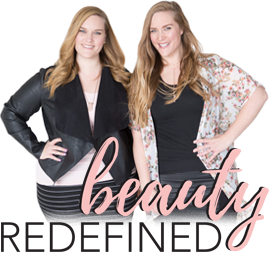 Read Part 1 of this “Healthy Redefined” Series HERE! In a world where health successes and failures are too often measured entirely by weight loss or weight gain, we have to seriously reconsider this idea. Fitness researchers prove it: “There is a need to increase knowledge and understanding of the health benefits of exercise, and reduce the emphasis on weight loss. This agrees with the evidence that cardiorespiratory fitness is a more powerful predictor of risk than body weight” (1). How often do we see health advice that promises you will “Lose 10 lbs. by Friday!” or “Shrink your belly bulge!” if you’ll begin some exercise program or make healthier food choices? Constantly. This messed-up way of thinking – equating healthy choices with quick weight loss – is seriously hurting our health. It’s also making lots of people LOTS of money, while our health problems are still killing us. Sounds crazy, right? It goes against anything most media will every tell you about health, but it’s true. Even when you don’t lose as much weight as you think you should (and as money-making media train you to think), you’re still likely gaining some serious health benefits. Doctors know this is true. When people with serious health issues like Type 2 diabetes, cardiovascular issues and high blood pressure start a meaningful exercise program, their health problems often disappear or greatly improve – regardless of whether or not they remain overweight or obese. The Society for Nutrition Education produced a report in 2002 promoting healthy weight in children, which emphasized the need to “set goals for health, not weight, as appropriate for growing children” and says that it is “unrealistic” to expect all children to be at an ideal weight range. Instead, this report defines “healthy weight” as “the natural weight the body adopts, given a healthy diet and meaningful level of physical activity,” which it later specifies to be one hour of physical activity each day. The U.S. Department of Health and Human Services stated that poor nutrition and physical inactivity are the second leading causes of preventable morbidity and mortality, and are among the top priorities of Healthy People 2010 and beyond. Notice there is no mention of obesity or overweight in this statement. Along with this imperative, scholars, health educators and medical experts have begun a push toward a “health at any size” movement that encourages people to switch their focus away from weight loss and toward healthy behaviors that can increase physical and emotional health at any weight – even at weights currently considered medically compromising (2). This shift in health objectives toward activity rather than fat is founded upon a huge body of research that shows health and fitness often has very little correlation to body weight or even an individual’s BMI. 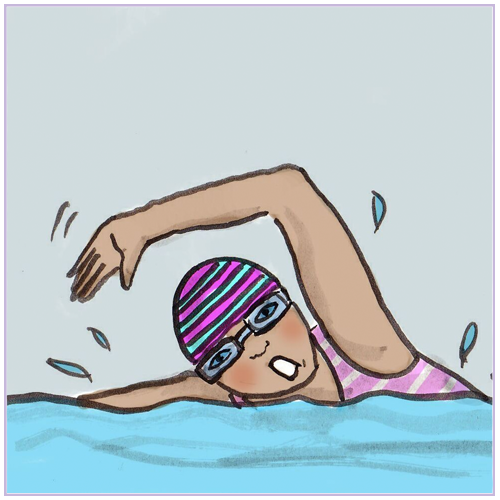 There’s one impressive meta-analysis of medical studies since the 1970s that concluded overweight and active people may be healthier than those who are thin and sedentary (3). Understanding that activity level – rather than body weight – is a reliable indicator of a person’s health, is a key to dismantling an unhealthy ideology that defines health according to appearance-based measures. In order for exercise-promoting campaigns to be effective, people need to be able to identify and remove barriers to physical activity in their lives – any excuses, real or imagined, that are holding them back from exercise. One of those barriers is feelings of previous failure at exercising – and this one is especially true for women. Health studies show women tend to associate weight loss with “success,” while many men who gained weight during a study period still considered themselves to have been successful at controlling their weight or managing their health (5). The researchers rightfully warned, “It is possible that women’s perceived lack of success in weight control when no changes in weight ensue may prompt the adoption of aggressive and possibly harmful weight-loss methods, and exacerbate negative body image and weight pre-occupation.” Yep, that’s exactly what happens. Interestingly – and perhaps not surprisingly to followers of Beauty Redefined – researchers have identified body dissatisfaction as one of the major barriers to regular exercise for women. 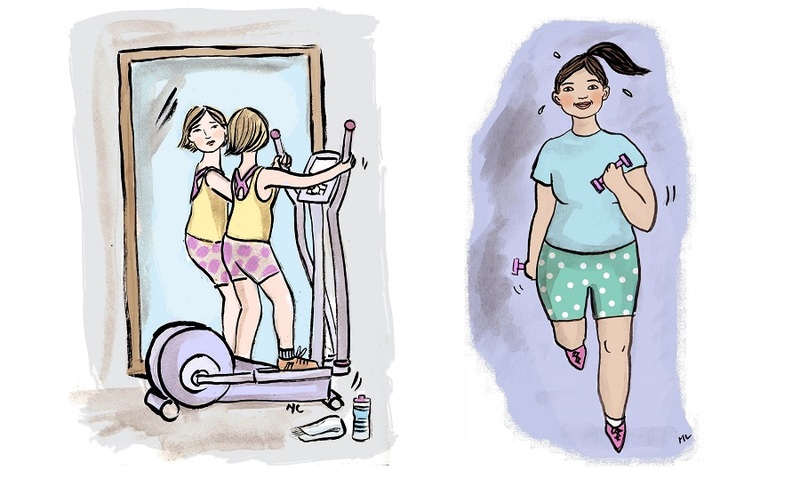 One study found that one of the most significant barriers to exercise for obese people was their body image perception, with “feeling too fat to exercise” showing up as one of the most common stumbling blocks, particularly for females (6). Recent studies have found that body size satisfaction had a significant effect on whether a person performed regular physical activity, regardless of the individual’s actual weight (7). That is, those who were satisfied with their body – regardless of their size – were more likely to engage in physical activity regularly than those who were less satisfied. This is scary, considering studies show women tend to overestimate their body weight and size, while men tend to underestimate their body weight and size (8). In one telling example, researchers found that 61 percent of normal weight women perceived themselves as overweight, while 92 percent of underweight women perceived themselves to be average or overweight. As media images of women’s bodies across advertising and entertainment of all genres have shrunk to extremely thin proportions over the past several decades, women’s perceptions of their own bodies has become just as distorted. 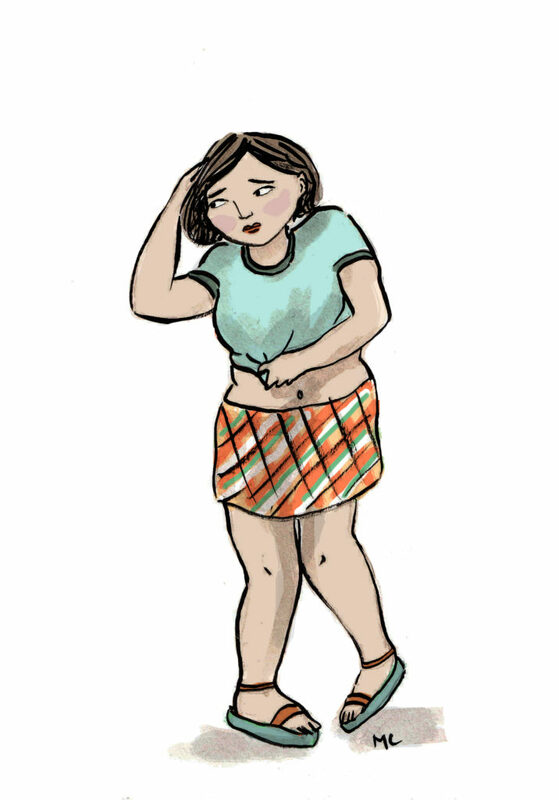 In a country where more than 50 percent of women say their bodies “disgust” them and a whopping 90 percent of women are dissatisfied with their appearances (9), body shame needs to be viewed as a huge barrier to health and physical activity for women, and one that must be addressed in meaningful ways – NOW. This rampant self-loathing, which can be partially attributed to women’s self-comparisons to unrealistic and unattainable body ideals in mass media, may very well encourage women to give up on achieving healthy body weights altogether due to the perception that “healthy” or “average” is unreachable. Studies help to confirm this idea. A 5-year study on a group of teen girls (10) found that girls who were more comfortable with their bodies — regardless of their weight or size — were actually healthier over time. They were more likely to be physically active and pay more attention to what they ate. Meanwhile, the girls who were the most dissatisfied with their size tended to become more sedentary over time and paid less attention to maintaining a healthy diet. This makes sense. When you are ashamed of your body, how likely are you to go to the gym or go outside and be active? How much more likely are you to shut yourself inside with the TV and food that will do you no good? 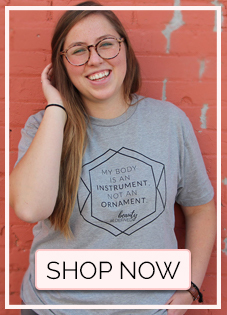 This truth is why Beauty Redefined exists and why people are eager to get behind our messages: promoting positive body image is crucial to promoting health. Increasing positive feelings about our bodies and being able to see them as more than objects to be measured, judged and looked at are key to helping people make healthy choices – especially increasing their physical activity. You are capable of much more than being looked at. This is the year to end body shame and get on to bigger and better things – especially real health and happiness. From lost self-esteem, lost money and time spent fixing “flaws” and a well-documented preoccupation with thinness, the effects of profit-driven health information involve serious loss for women, while too many industries see huge economic gains. From the life insurance industry collecting higher premiums for those they deem “overweight” based on a standard they set themselves, to major financial savings for medical experts and the government using the profit-driven BMI, to the diet and weight loss industry raking in more than $61 billion on Americans’ quest for thinness in 2011, those who make money off the discourse surrounding women’s health are thriving unlike ever before. There is so much at stake in turning this health crisis around. With so many power holders with serious capitalist interests at stake in maintaining the force of beauty ideology in women’s beliefs about their bodies, it is unlikely that media distorting women’s health will change anytime soon. Dismantling and revealing harmful ideas about health must become the responsibility of everyone who recognizes their existence: health educators and practitioners who know the difference between thin ideals and indicators of physical fitness; parents, teachers, friends and other influential individuals who see signs of low self-esteem, distorted body perceptions and disordered eating in girls; media consumers who recognize negative feelings about their own or others’ bodies after reading or viewing media that represents ideals as normal or “healthy;” media decision makers who can disrupt the steady stream of idealized bodies with positive representations of more normative shapes and sizes; and activists who are willing to visibly resist messages that repackage women’s health in power-laden terms in any way possible, whether through volunteering to speak out against harmful ideals for any audience who will listen, or by attracting attention toward the dangerous link between beauty ideals, low self-esteem and serious health consequences. By using any of our tried-and-tested strategies to take back female beauty and health for girls and women or for boys and men. Time Magazine, May 29, 2005: www.time.com/time/magazine/article/0,9171,1066937,00.html.